At Lens Lab Express, we offer 1 hour service on most eyeglass prescriptions and carry a large variety of brand name eyeglass frames in all price ranges. Check out our designer frames page for our current selection of designer frames. If there is a specific designer frame that you are looking for, please call and speak to one of our frame experts, who will be more than happy to assist you. 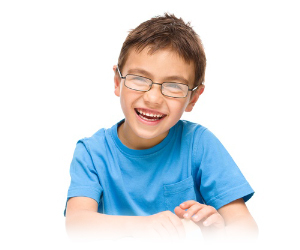 We have been serving the Bronx community with all of its vision needs for many years. At Lens Lab, we strive to provide you with personalized eye care service in a relaxed and friendly environment. We value our patient relationships and our compassionate and experienced team of optometrist, opticians and frames specialists will cater to all of your vision needs. We carry a large selection of affordable eyeglass frames, designer frames and sunglasses. We will help you select the frames that best suit you based on your lifestyle and personality. We participate with many insurance and union plans, which are listed below. If you plan is not mentioned, please call us and ask because we may accept it. At Lens Lab Bronx, we accept Visa, MasterCard and American Express credit cards as well as personal checks. CareCredit is here to help you pay for treatments and procedures your insurance doesn't cover. We offer No Interest* financing or low minimum monthly payment options so you can get what you want, when you want it. You can even use CareCredit for your family. With three simple steps, including an instant approval process, it's easy to apply for CareCredit. After you're approved, you're free to use CareCredit for whatever services you choose. Now you don't have to worry about saving up for the procedures you want and need. With CareCredit, the decision is in your hands to get what you want, when you want it. For more information or to apply online, visit carecredit.com. We are located in the Kmart Shopping Center at 1998 Bruckner Boulevard, Bronx, New York 10473.